Hummingbirds flap their wings 50 to 200 times per second! 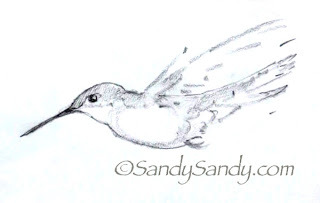 They move them in a figure 8 motion while flying. 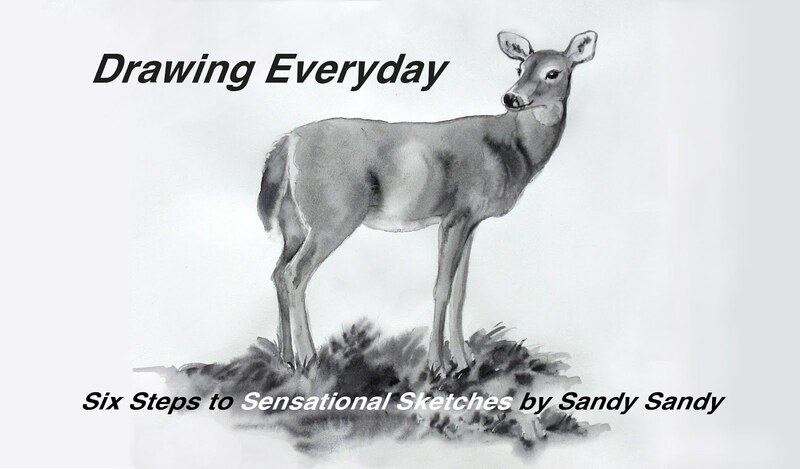 This makes drawing or painting them in action challenging. A camera with a flash can freeze the motion, but it is not how we see them with the naked eye. Sometimes in art and in watercolor especially, we have to make up symbols for things. These symbols can then become more real than life. 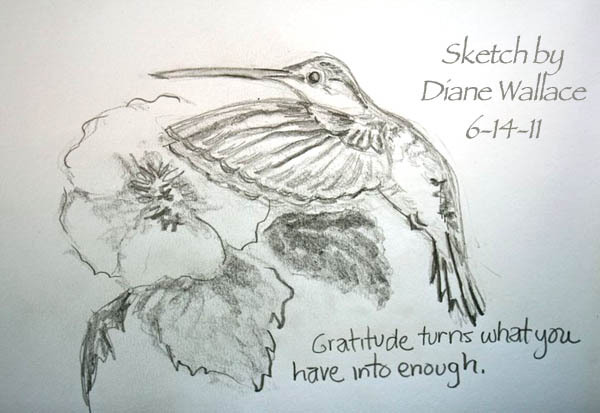 I think this is especially true of hummingbird wings in motion. I seem to get the best looking results when I remember "LESS IS MORE" when depicting them. I am working on a demo on how to convey more of the feeling of the wings, so stay tuned as I work out the details. License a finished version of this image here. 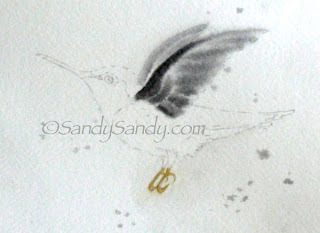 I started a third hummingbird watercolor and this time did the wing first on wet paper (front and back) with a very dry brush and minimal strokes. By George, I think I'm satisfied with it this time. I'll keep my fingers crossed that the completion of the body goes as well. Our second challenge drawing was just sent in by Diane Wallace. Thanks Diane! Well done. She also says; "I'll have to remember the "less is more" on the wings. I felt like they were way too heavy in my sketch." 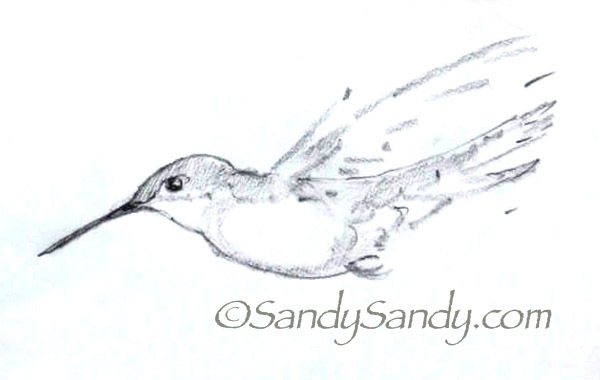 The first thing that comes to mind when I see your top hummingbird sketch is "zoom" It has true movement to it! We sit outside and watch the hummingbirds zoom by and my husband will actually make a zoom sound. 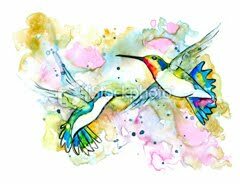 I will have to give the wing in watercolor a try like what you've done here. Might be a day or so as I'm working my two days a week (Wed and Thurs) but I do plan to do this. And I look forward to what you have in store for us.